In between sightseeing and shopping around Vero Beach, you’ll probably get pretty hungry. But luckily, the staff at Vatland Honda know all the best spots in town to grab a bite to eat. From tiny crab shacks to rich Italian fare, you can find in all in Vero Beach. Cobalt boasts some of the best views of the area with its gorgeous oceanside setting, but the food is truly spectacular. Make a reservation on a beautiful day to take advantage of the veranda seating, and enjoy al fresco dining like never before. From lobster risotto to duck confit, this Vero Beach favorite serves fine dining classics with a twist. Don’t miss out on the craft cocktails! Mrs. Mac’s Fillin’ Station serves old fashioned home cooking in a friendly, relaxed atmosphere. Step through the doors of this restaurant to go back in time. The walls are decorated with car-themed memorabilia, and kids love spotting the many license plates and street signs along the halls. As for the food, this diner has all the classics: eggs and bacon, country fried steak, French toast, and more. If you want to feast on seafood galore without the fuss of fine dining, then you’ll have a blast at Crab Stop Vero Beach. This restaurant offers everything from crab cakes to garlic shrimp to lobster tails, but the big draw has got to be the seafood boil. Try the snack pack with crabs, shrimp, sausage, and potatoes cooked to perfection and enjoy the fresh flavors right by the Ocean. If you want a white tablecloth experience with some of the best Italian cuisine you’ve ever had, then we recommend you make a reservation at Di Mare Vero Beach. Year after year, Di Mare ranks at the top of the list for Vero Beach restaurants. Whether you crave a rich foie gras pate or a perfectly seared filet mignon, the extraordinary chefs treat every customer like royalty. Now, you know the best Vero Beach restaurants, so it’s time to get packing! 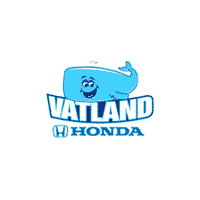 And while you’re in our neck of the woods, be sure to remember Vatland Honda is here to be your local guide. Contact us with any questions and we’ll be happy to help! What Are the 2019 Honda Pilot Configurations? The sporty 2019 Honda Civic comes equipped with an abundance of amenities and technology features to upgrade your drive in Sebastian. Created with comfort and safety in mind, the 2019 Honda Civic goes above and beyond the expectations for a Civic. Explore the interior features and then experience it in person by stopping by Vatland Honda….